Buying surplus equipment lends a frisson of excitement as you eagerly await the package or crate containing your purchase. Did you buy a hidden treasure, or has some shyster succeeded in unloading a pile of garbage onto you, their mark? [Professor Churls] shelled out $49.99 for a military surplus bomb hoist which definitely falls into the former category. His teardown reveals it to be a beautifully over-engineered piece of Cold-War-era American hardware. As the package with its extremely heavy contents is first inspected, he reminds us just what a bomb hoist does, it is clipped to an aircraft by ground crew and serves as a small but extremely powerful crane to lift up to a 6000-pound piece of ordnance onto the wing pylon of an aircraft. This particular example dates from the 1960s, and features a 28-volt DC motor coupled to a bulky gearbox assembly on a swivel mount for attachment. His teardown is extremely detailed, but such is the engineering and complexity of the device you’ll want to read every part of it. The motor is a fairly traditional separately-excited brushed DC design such as you’d expect from that era, but with unusual features such as brushes on pivots rather than a slide. The multiple sets of gears are packed in aged and phenolic-smelling grease, and have unusual features such as stub-form teeth for high torque at low durations. There is even an entirely separate gear train for the hex drive provided so that crews could keep the bombers rolling even when the power was out. He leaves us with the tantalising information that there is a project awaiting this device, but doesn’t tell us what that might be. We hope we’ll get to see it, whatever it is. Meanwhile it’s great to see that this kind of item can still be found from military surplus suppliers, where this is being written they have degenerated into little more than stockists of camouflage-printed camping gear. Our colleague [Brandon Dunson] lamented in 2015 on the slow decline of the electronic surplus business in his location. We shouldn’t laugh, but we know the feeling very well. [Gear Down for What] invented a revolutionary transmission and fabricated it from scrap material when he was 16. Except he later found out the same design was the subject of a patent filed 14 years earlier. Dismayed he destroyed his prototype, but fast forward to today and he’s made a 3D model of a ratcheting continuously variable transmission. You can see a video of him explaining how it works below and put your own spin on the idea by grabbing the model from Thingiverse. The model is just for demonstration purposes. We doubt it would wear well enough to use in practice but it’s great to get your hands on for a really intuitive understanding of the mechanism. Some modern automobiles use a continuously variable transmissions (CVT) and many recreational vehicles and motorcycles use them. Like any transmission, their job is to match the motor’s rotation to needed output torque and speed by offering different gearing ratios. Whereas a normal transmission provides a few fixed gears, a CVT changes seamlessly through a range of ratios. Some of the design of the transmission is pretty tricky, like the cam adjustment. The video shows the rationale for how the design works and how it relates to tank steering (tank as in an Army tank; not like a gas tank). The model isn’t just plastic. It uses some screws and BBs, as well. However, if you have a 3D printer and wanted a good classroom demonstration, this is the ticket. We’ve seen other geared variable transmissions for robots before. The planetary gears in the cam adjustment of this design are well understood. If you want to brush up your planetary knowledge, there’s no time like the present. While 3D printing is now well on its way to becoming “boring” in the same way that a table saw or lathe is, there was a time when the media and even some early adopters would have told you that the average desktop 3D printer was perhaps only a few decades behind the kind of replicator technology we saw on the Enterprise. But as the availability of these machines increased and more people got to see one up close, reality sunk in pretty quickly. Many have dismissed the technology as little more than a novelty, and even within the 3D printing community itself there’s a feeling that most printers are used for little more than producing “dust collectors”. Some would see this attitude as disheartening, but the hackers over at [Gear Down For What?] see it as a challenge. 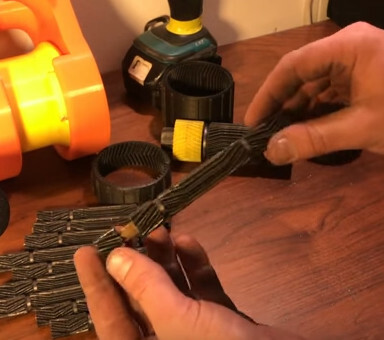 They’ve made it their mission to push printed parts to increasingly ridiculous heights to show just what the technology is capable of, and in their latest entry, set out to push a pair of 3D printed gearboxes to failure. The video starts out with a head to head challenge between two of their self-designed gearboxes. As they were spun up with battery powered drills, the smaller of the two quickly gave up the ghost, stripping out at 228 lbs. The victor of the first round then went on to pull a static load, only to eventually max out the scale at an impressive 680 lbs. The gearbox may have defeated the scale, but the goal of the experiment was to run it to failure. By rigging up a compound pulley arrangement, they were able to double the amount of force their scale could detect. With this increased capacity the gearbox was then run up to an astonishing 1,000 lbs before it started to slip. But perhaps the most impressive: after they got the gearbox disassembled, it was discovered that only a single planet gear out of the ten had broken. Even then, judging by how the gear sheared, the issue was more likely due to poor layer adhesion during printing than from stress alone. No gears were stripped, and in fact no visible damage was seen anywhere in the mechanism. 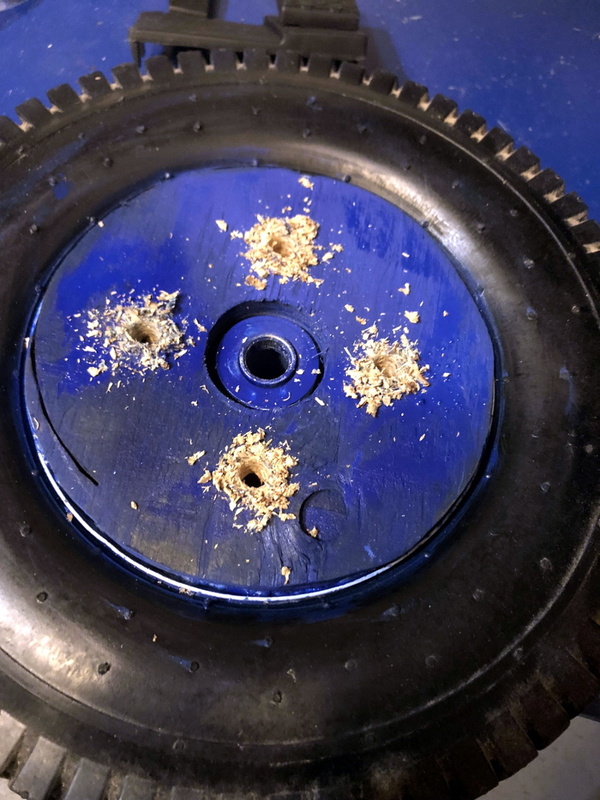 The team is currently unable to explain the failure, other than to say that the stresses may have been so great that the plastic deformed enough that the gears were no longer meshed tightly. This isn’t the first time we’ve checked in with the team at [Gear Down For What? ], just a few months ago they impressed us by lifting an anvil with one of their printed mechanisms. They’re also not the only ones curious to find out just how far 3D printed plastic can go. How strong can you make a 3D-printed gearbox. Would you believe strong enough to lift an anvil? [Gear Down For What?] likes testing the limits of 3D printed gearboxes. Honestly, we’re amazed. 3D printing has revolutionized DIY fabrication. But one problem normally associated with 3D printed parts is they can be quite weak unless designed and printed carefully. Using a whole roll of filament, minus a few grams, [Gear Down For What?] printed out a big planetary gear box with a ratio of 160:1 and added some ball bearings and using a drill as a crank. Setting it up on a hoist, he started testing what it could lift. First it lifted a 70 lb truck tire and then another without any issues. It then went on to lift a 120 lb anvil. So then the truck tires were added back on, lifting a combined weight of 260 lb without the gearbox breaking a sweat. This is pretty amazing! There have been things like functional 3D-printed car jacks made in the past, however 3D-printed gear teeth are notoriously easily broken unless designed properly. We wonder what it would take to bring this gearbox to the breaking point. 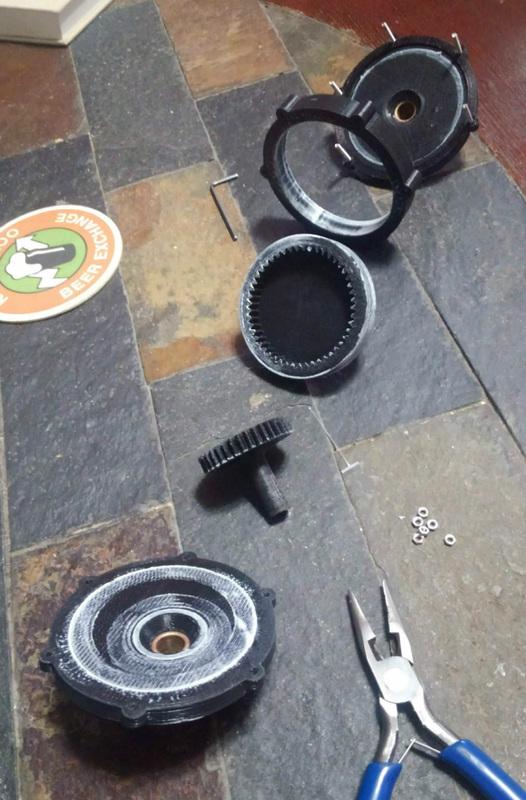 If you have a spare roll of filament and some ball bearings, why not give it go yourself? STL files can be found here on Thingiverse.